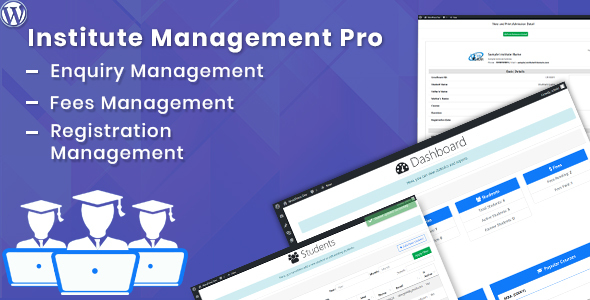 Institute Management Pro is a comprehensive plugin to manage institute related activities such as courses, enquiries, registrations, fees, students, staff etc. It can generate fee receipt, fees report, ID card etc. in printable format. Also, administrator can be assigned to manage particular records. Institute Settings such as name, logo, address, phone, email etc.